For this Republic-Franklin Health Insurance Company Review, the Republic-Franklin Insurance Company and its parent company Utica National Insurance Group will be discussed. With a financial rating from A.M. Best of A-, the insurance company has a stable outlook for the future. With a variety of insurance products offered, Utica National is able to help protect many aspects of your life, whether it is personally or in your business. Because Utica National does not sell personal health insurance, you can search for and compare health insurance quotes right here by entering your zip code. To help serve their customers better and offer them more choices and flexibility with their insurance policies, Republic-Franklin chose to become a part of a larger insurance organization, Utica National Insurance Group. 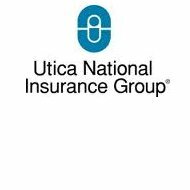 Utica National has been around since 1914 and has become one of the insurance companies in the top 100 of the nation. Through Utica, Republic-Franklin is able to offer not only personal and business insurance but also coverage for specialized markets, for which Utica is nationally recognized. One of the benefits of having the support of Utica National Insurance Group is that Republic-Franklin has tools to help their business customers assess and manage risk. Both small and large businesses can benefit from the loss prevention and safety program offered by Utica National. One of the benefits of the program are on-site evaluations. A risk management specialist will come to your business and analyze the risks that your staff may face as well as see how safe your physical assets are. The specialist can also help you decide, based on advantages and risks, if you should implement new processes or technologies. The specialist will review any losses you have had in the past to see if there are any trends in the source or nature of property damage and injuries. Once the specialist has analyzed and reviewed, he or she will make suggestions of things you can implement or change to make it a safer workplace. Risk management specialists are located all over the country so they are conveniently on hand to help you personally. Utica National also offers safety tips and resources online. These may be tips for job safety or natural disaster information. One of the advantages of being a member of Utica National is that Republic-Franklin has access to special insurance coverage. Utica National specializes in certain niches of the market that not all insurance companies have access to. To help with different aspects of your business, Utica National offers a Bonds program. You may need a fidelity bond which helps protect your business profits, a contract bond to build something, or a surety bond for a permit. Utica National can underwrite any of these bonds for you. Although many insurance companies offer workers comp insurance, Utica International takes it a step further by offering Uti-Care, which is a program that helps you control your costs while managing your workers comp cases. To find out more about any of these specialty programs just contact your local Utica representative. To compare health insurance online, just enter your zip code on this page.